Retailers are failing to provide a consistent omnichannel experience, according to original research by global provider of unified commerce solutions, PCMS. Navigating Modern Retail, which polled 2,000 UK consumers, found that just 5% said they received a ‘very consistent’ customer experience (CX) when comparing a retailer’s website to its app or shopping in store. A further 30% said CX was only ‘quite consistent’ indicating that retailers have a long way to go to ensure digital routes to purchase meet consumer expectations. When it comes to those retail sectors that shoppers believe best manage the omnichannel experience, grocery and supermarkets came out top of the list (30%), closely followed by fashion and footwear (27%), and electrical stores (26%). Those with a clear need for improvement included bookshops (10%) and phone stores (16%). When it comes to self-service and independent sales encounters – 17% of respondents said they would like cashless payment, where goods are scanned in store and paid for later online. 12% would like to scan goods using the store’s device, while 14% would like to use an app on their mobile phone. 14% would also like to have the option of having self-scanned goods delivered to their home. The research suggests customers are keen to see a closer alignment between services provided in-store and those available online. Nearly a third (29%) want to be able to order an out-of-stock item from another store and have it delivered to their home, while just under a quarter (24%) want to pay for online orders when they pick them up in store. 18% would like to be able to combine payment for both online and in store purchases and 11% would like to be able to top-up their online basket by purchasing additional items when they arrive at the store click-and-collect point. 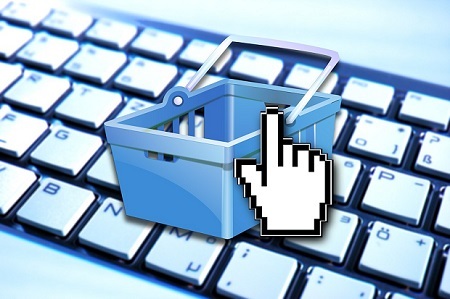 The way people interact is also changing with 10% of shoppers saying they’d like to be able to access help from a digital shopping assistant as they shop in store via their mobile phone, and a further 11% would like to be able to access historical online purchases and change or add to online orders at the store checkout.